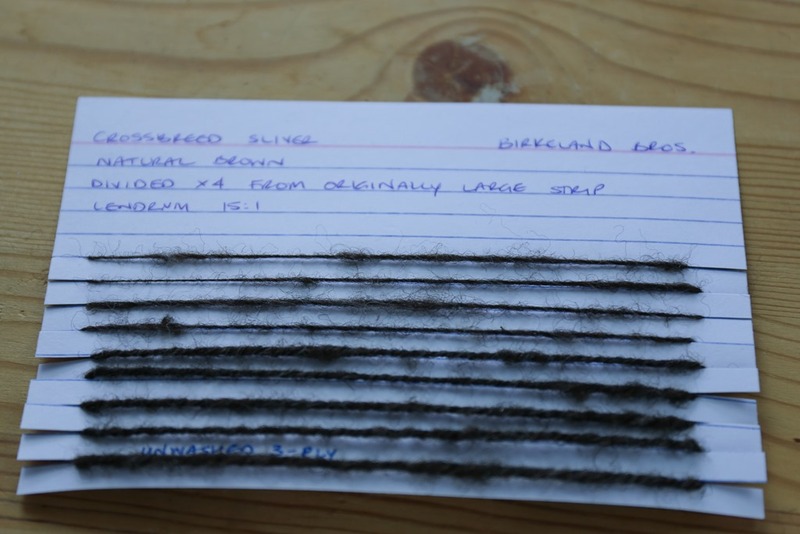 As spinners and knitters (and weavers and … ), we are often very concerned about the ‘breed’ of our fibre. It’s natural with all of the recent information out there about wool, production and environmental impacts, as well as endangered breeds, wool mills and sheep producers themselves. I’m as excited about this movement as you are – I am so relieved that we are steadily moving away from #MerinoAllTheThings! Don’t get me wrong, I enjoy working with Merino as much as the next person and I learned to spin using Merino but it’s nice to see people moving past Merino onto other breeds of sheep that offer different characteristics for different uses. 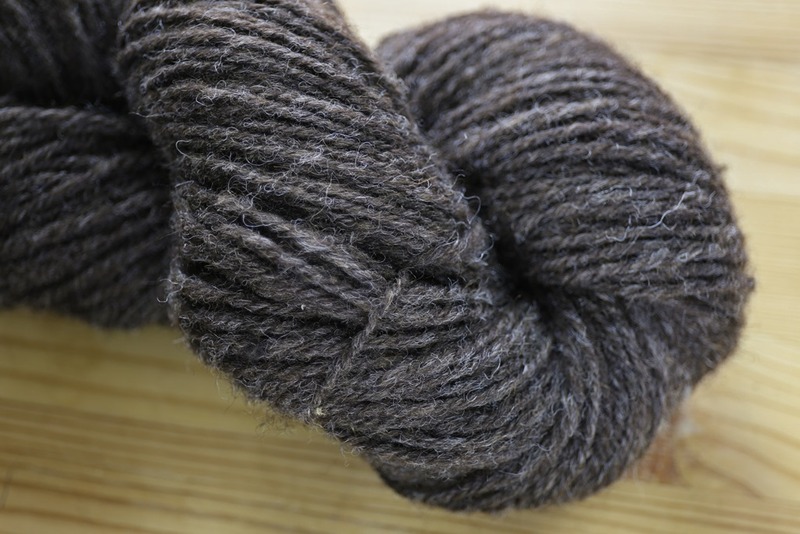 In the craze for breed-specific wool, I think it’s also important to spend time working with wool blends that aren’t necessarily one specific breed. Often, these blends and crossbreeds can be harder wearing but are still next-to-the-skin soft. They can also be quite economical! An example of this is some locally sourced roving I have continually come back to for spinning woollen yarns. 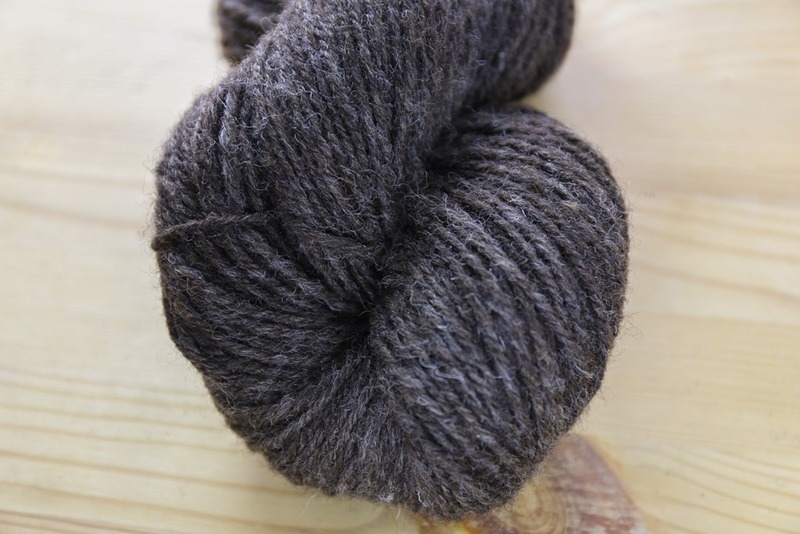 Using fleece from local breeds, which is generally quite a mix of meat breeds, this roving is cleaned and processed as a ‘crossbreed wool’ with no effort to label the specific wool content. It is definitely a woolly-wool! The following are sheep breeds that are or have been raised in the Lower Mainland. Several producers maintain cross-breed sheep, for example, Romney x Charollais, Romney x Merino, Cormo x, Charollais x, and Hampshire Coloured x. You may also see broad categories of sheep breeds like Coloured Long Wool, Coloured Mixed Breed, Commercial Cross, Hair Sheep, and of course the FVS (Fraser Valley Special). For those unfamiliar with the Greater Vancouver area here in south-western British Columbia, the Fraser Valley (outlined in red on the Google map) is a stretch of land that is a valley towards the East of the province that eventually leads to the Interior (ie. The rest of the Province!). A huge number of the population of BC lives in the Lower and Upper Fraser Valley, commuting into Vancouver and other areas for work, school and life. But I digress! Due to the roving prep, it spins beautifully using long draw, either supported or unsupported (whatever your preference). I personally like a semi-supported draw, which is something I have developed organically over the past year or so when I am spinning long draw. I suspect many out there spin long draw this way but I have yet to come across any formal teaching about it so I am planning to release a teaching video about it later this year. This is part of the monthly Patreon Milestone we reached in June to include a monthly teaching segment separate from the weekly vlog format. In a nutshell, I only pinch long enough to draw back to fibre before opening my fingers to allow the twist to travel up into my fibre supply. This gives me something to draw back against without using my brake tension as the resistance but rather, my pinched fingers. I like that I can still draw back slightly and not risk breaking my single from having to pull a bit harder against my wheel and tension system. For my initial sample, I had spun a two-ply of the fibre using the semi-supported long draw technique. I liked the look and feel of the yarn immensely and immediately set to work on spinning three more bobbins of singles. After doing so, I decided to ply the first skein as I wasn’t sure I was completely happy with the weight of the singles I was spinning (roughly 25-27 wraps per inch). The finished yarn (unwashed) is about 8 wraps per inch (ie. an Aran weight) coming off the wheel and it is completely balanced, meaning I didn’t put enough ply twist into it. There’s a long, confangled story about why I am plying on my Lendrum and lack of flyers and whorls for my Schacht wheels that you can hear about here, but suffice to say, I spun the singles on 15:1 on my Lendrum fast flyer, which happens to be my favourite ratio for spinning long draw. I wasn’t able to ply at that, however, so I hooked up my Jumbo flyer and plied at 9:1, attempting to add more ply twist. But, of course, best laid plans and all of that! Lesson to self: 1. Don’t ply after a night shift when you’ve been up for 24+ hours. 2. Don’t think “I got this” when you are tired – you don’t got this, not at all. 3. Don’t figure you can add the ply twist you need by treadling more when you tend to be a meditative treadler (ie. Moderate to slow is your natural treadling speed: See number 2. You don’t got this.). 4. Don’t beat yourself up afterwards! Remember that everything is a learning experience and the finished yarn? Is beautiful. It’s lofty and springy. Soft. Has a slight halo. It is really gorgeous yarn. I stand by the need for more ply twist though – I’m going to wind it into a centre-pull ball and send it back through the wheel on a high uptake. The lovely loft and spring will still be present afterwards but it needs to be higher twist to enhance durability for the eventual wear and tear of an everyday sweater. I’m really excited to see what this yarn will look like after plying it again to tighten up that twist and I’m going to keep a little sample of this unwashed yarn to compare against the higher twist, washed yarn. When the new yarn comes off the wheel, I’m hoping it’ll twist 3-4 times on itself (ie. When you pull the tied skein of yarn off your niddy-noddy, the skein immediately twists around on itself a certain number of times if it’s not balanced. 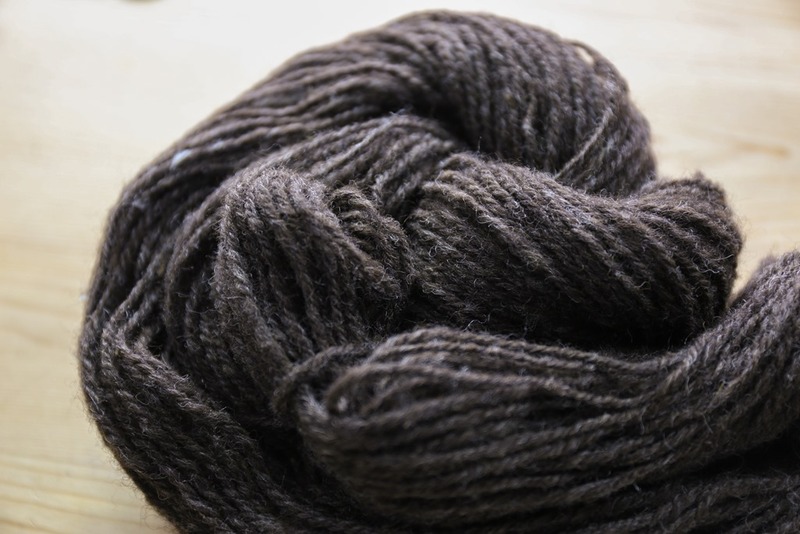 This particular yarn didn’t twist once – it was perfectly balanced. Once it’s washed and a bit more of the ply twist dissolves in the water, it’ll be under-plied. More on that coming in July 2016.). Because this is my Tour de Fleece project this year, this skein of yarn will guide me through the spinning of the rest of the 1.8lbs that I have in my stash. I’m working towards having the yarn washed and ready to knit with in early August! Wish me luck! I really love this yarn! I totally agree with you about the over-merino-ization (yes, I just made that up). 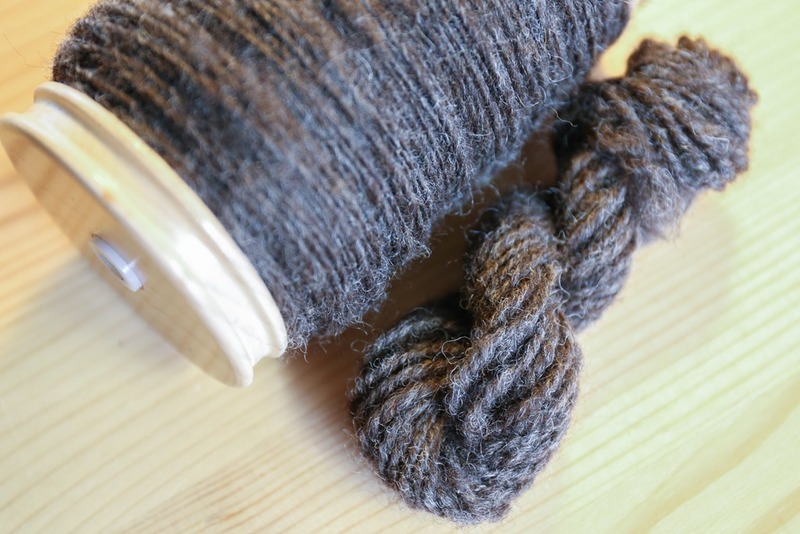 Merino is a great fiber, but there are so many other amazing breeds and blends out there. I actually kind of avoid merino now because I want something more durable most of the time. You are very lucky to have such a great local source for this blend! Haha I love that new word! Yes, I actually avoid it as well :) I’m so glad I’m not the only one! Beautiful spinning! Thank you for the technical details. Ditto on the Merino. There’s a whole great big world of wool out there to explore!